People said that Emperor Gia Long of Nguyen Dynasty used to worship at Giac Vien – known as the centre of Buddhism of the 6 southern provinces in 19th century. Originally constructed in 1789, this pagoda underwent major restorations in 1899 and 1910. Located at number 161/85/20, Lac Long Quan Street, District 11, Giac Vien is one of the oldest temples in Ho Chi Minh City. At first, it only used to be a warehouse while another pagoda (named Giac Lam) was being rebuilt. After the renovation of the latter was completed, Giac Vien Pagoda was extended as a thatched-roof hut used for worshipping Bodhisattva and was named Kwan-Yin. Finally, it became a pagoda in 1850, thanks to the monk Hai Tinh Giac Vien. 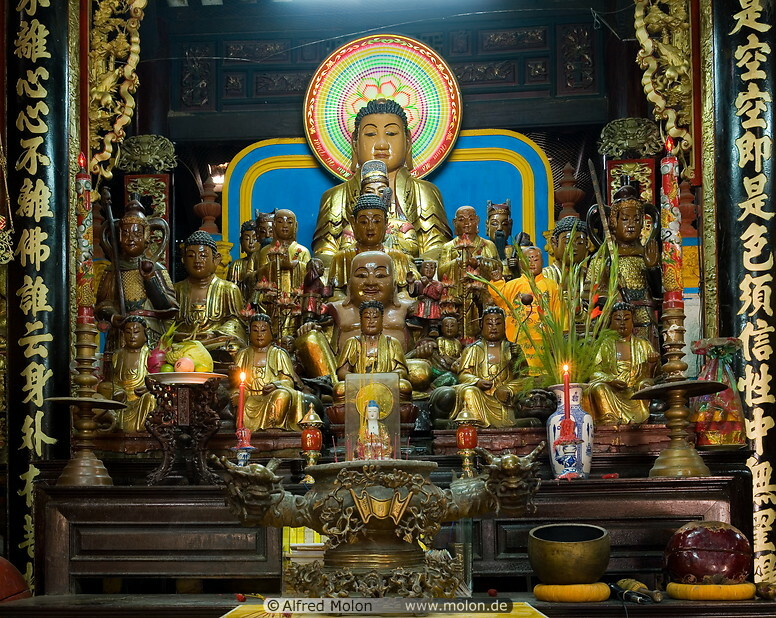 People said that Emperor Gia Long of Nguyen Dynasty used to worship at Giac Vien – known as the centre of Buddhism of the 6 southern provinces in 19th century. Originally constructed in 1789, this pagoda underwent major restorations in 1899 and 1910. Today, it still preserves many Buddhist printing inscriptions of considerable value. In 1789, a monk who was in charge of taking care of the restoration of Giac Lam Pagoda, built a small pavilion for his daily prayers, called Quan Am Cac (Kwan Yin Pavilion). The pagoda’s style, decoration and arrangement of the worshipping shrines followed the typical ancient of pagodas built under Nguyen Dynasty of the 19th century, as well as of southern area. Giac Vien Pagoda has typical features, of southern Vietnam. The main shrine, also a big hall, is 360 sq.meter in area, and used to worship Buddha. To its East and West, there are corridors, a room for the monks to prepare clothing before assisting the Superior Monk, and a large and spacious compartment at the rear. Along the corridors, there are small altars with worshipping items. In particular, there are rows of wooden pillars engraved with parallel sentences. The letters are carved delicately and painted with red lacquer and trimmed with gold. Around them there are decorative designs of leaves and climbing plants. All 153 statues in the pagoda are made of jack wood. The faces and postures of the statues look honest and they are placed low, creating a close feeling between them and the viewers. Because of its history, Giac Vien’s structure is similar to that of Giac Lam’s, with the main big sanctuary to worship Buddha, 2 corridors to the east and west to prepare and a spacious compartment at the rear. Once coming to Giac Vien Pagoda, tourists should pay attention to the 60 wooden engraving plates, each of them illustrates different symbols of Vietnamese culture and daily life. They are the only ones that have been perfectly-preserved in Vietnam. Attractive statues are dotted around the site, including a golden Buddha and the goddess Chuan De with her 18 arms. The most attractive items are 60 plates, which are engraved on both sides made of jack wood. They are and made with gold. The most beautiful plate is engraved with 18 fat, honest and smiling Arhats, with each riding on the back of a buffalo, a cow, a pig, a goat, etc. Some plates are engraved with birds, ducks, fish, etc., but all looking alive. Other plates are carved with fruits popular in the South, such as coconut, mangosteen, durian, rambutan, etc. These wooden engravings are the only ones that have been kept intact in Vietnam. The Buddhist spirit of the ancient Viet people, during their migration South, accepted different religious tendencies and sects, on condition that they were useful to society. This is clearly seen through the items preserved at Giac Vien pagoda. 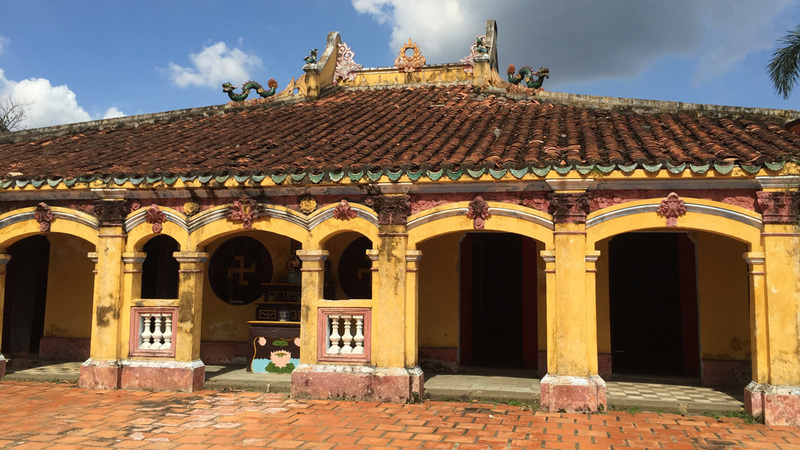 For this reason, Giac Vien Pagoda became a centre for worshipping ceremonies and discussions on Buddhism of the six southern provinces in the 19th century- a prosperous time for Buddhist followers and talents whose works remain valuable until today. 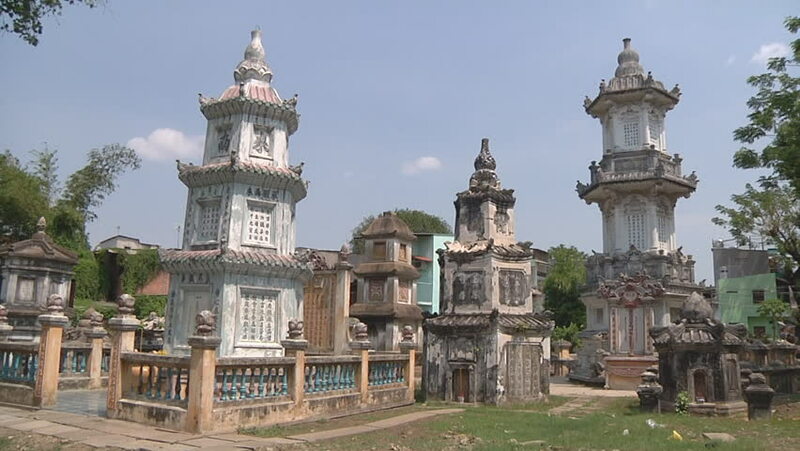 Giac Vien Pagoda has been classified by the State as a cultural relic and a mini-museum of wooden engrav ings of historical and artistic Value. For this reason, it attracts a lot of researchers and visitors all year round. Since Giac Vien Pagoda is incorporated into Dam Sen Theme Park, getting there by bus No. 11 (can be taken at Ben Thanh Bus Station) is possible. However, though Giac Vien is just down the road from Giac Lam, it’s harder to find. The way is: come out of Giac Lam and turn right onto Lac Long Quan St. Go straight on at the roundabout and the entrance is about 200m further down on the right. For more convenient transport within the city, visitors can choose taxi or motorbike.